Mortgage your house. Pull out your savings. Ask your parentals or grandparents for an advance on their inheritance. Time to get your hands on that special Pablo merchandise all the Kardashians and Jenners have been rocking for the past few months. 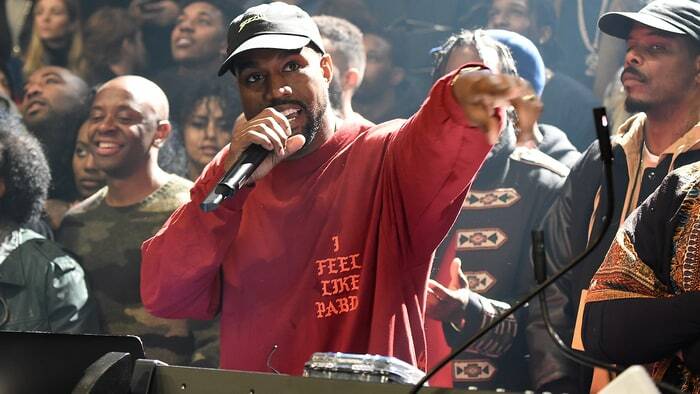 Kanye West is announcing Pablo pop-up stores worldwide this weekend, the catch is...you won't know the exact location until 24 hours before they open. Back in 2013, Kanye did the same thing with his Yeezus tour by opening up a pop-up in New York. Drake followed suit earlier this year with a Summer Sixteen pop-up in NYC. According to Vogue: Each city will have its name spelled out on tees and hoodies with Cali Thornhill DeWitt’s gothic script in a myriad of bold shades reminiscent of the collection West showed at Madison Square Garden in February. And while his runway pieces might be out of reach for some—Yeezy shoes in particular have fetched astronomical prices on the resale market—his latest fashion project should give fans across the world the chance at a piece of Pablo. You better believe I'm already on the email list to find out when and where this shop is hitting SF.